OK…it’s official! I REALLY like the Levidio v5 PowerPoint Video & Resource Package! I talked the guys at RootPixel (the Levidio creators) into giving us a FREE TEMPLATE to play with! What’s the catch? NO catch! Just download it and have fun! Hope you enjoy this template! Leave your questions, comments, and Share if you like. Thank’s for your share this Free template. I also like to modify slide on ptt, for presentation or to making a video. This template really cool and easy to modify. 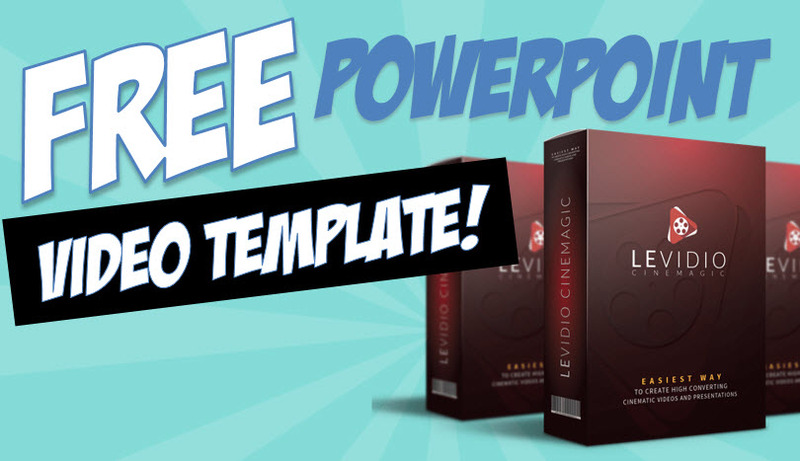 Great instructions – such a big help to easily use the PowerPoint templates from Levidio. PS – I have a question about your instructions to export the file to create a video. When you select ‘seconds spent on each slide = 0’ PowerPoint will go through each of the animations without me having to record the slide show and click through each animation. Lon, You are always an inspiration to me when you explain how to videos. Thank you for your ongoing share of knowledge. What link specifically are you having trouble with? I checked all of them in this post and they seem to work fine. The Levidio 5 package is still available. Thanks.